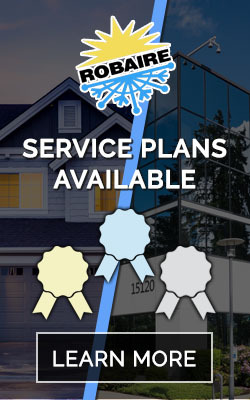 When it comes to the comfort and well being of your family or your customers, you can trust all of your residential and commercial air conditioning needs to our professional air conditioning services. At Robaire Company, Inc., we’ve been serving our customers in Bucks County and beyond since 1985. We’ve built our reputation one customer at a time, which is why our air conditioning services are preferred by so many homes and businesses throughout the Delaware Valley. Located in Levittown, we can easily get to your home or business in Fairless Hills, Penndel, Bristol, Feasterville-Trevose, Tullytown, or Bensalem. Whether you have a boiler, furnace or other heating system, we’ve got your commercial or residential heating system maintenance, repair or installation needs covered. We are trained to perform air conditioning maintenance, and we’ll install a quality replacement at competitive rates if that’s what is needed. Manage your door locks, lighting, thermostat, blinds and shades, garage door opener and other home systems from anywhere with your computer or smartphone. If you’re one of the millions of homeowners who prefer the moist heat of a boiler, we can keep it running at optimal efficiency for you or replace it if needed.